Are you familiar with a “selfie?” If not, this is a popular trend going on right now in the world of social media. A selfie is a self-portrait that is typically taken with a hand-held digital camera or a camera phone. Selfies are then often shared on social networking services such as Instagram, Snapchat, Facebook, Twitter and other social media outlets. The rise of ‘selfies’ is having a huge impact on the facial plastic surgery industry according to a new study by the American Academy of Facial Plastic and Reconstructive Surgery (AAFPRS). The annual poll studies a select group of the organization’s 2,700 members to uncover the latest trends in facial plastic surgery. The study revealed that one in three facial plastic surgeons surveyed saw an increase in requests for procedures due to patients being more self-aware of looks in social media. In fact, 13 percent of AAFPRS members surveyed identified increased photo sharing and patients’ dissatisfaction with their own image on social media sites as a rising trend in practice. There’s no denying that social media plays a particularly influential role in teen’s lives and self-esteem. So it’s no surprise that it’s also a driving force behind an increasingly youthful face of plastic surgery. In 2013, more than half of surveyed facial plastic surgeons (58 percent) saw an increase in cosmetic surgery or injectables in those under age 30. Almost three quarters of all procedures performed in 2013 were minimally invasive. Of these, BOTOX® Cosmetic, made up approximately half of all minimally invasive procedures performed, followed by hyaluronic acid and peels. This alone is showing an increase among younger people who seek facial plastic surgery. 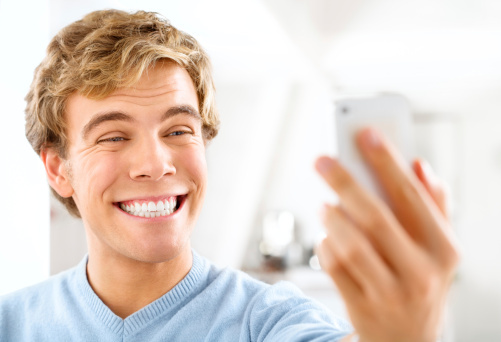 Selfies are a very popular topic when it comes to facial plastic surgeons. And young and old alike are looking at new treatments when it comes to looking and feeling younger. The best course of treatment for anyone is to get professional advice from a doctor when it comes to altering your appearance. If you have any questions about facial plastic surgery, be sure to contact us at ImageLift for any questions that you may have. Contact us at 877.346.2435 or by clicking the link here. Too Much Time in the Sun When You Were Younger?